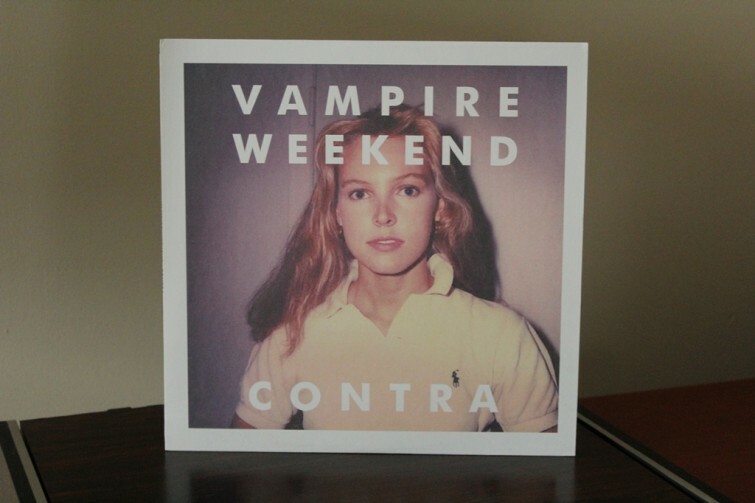 Vampire Weekend’s second studio album, Contra, is worth picking up if only for the opening track, the remarkably catchy “Horchata.” Upon Contra’s release, the New York-based baroque pop group received almost immediate universal claim. Vampire Weekend’s steady rise to glamour and fame is not without merit. Contra is chock-full of passion and vigor. The title “Contra” was meant to convey a sense of conflict and friction, while the album lyrically expands on the idea of being civil in the face of strife– a theme that appears again in “Modern Vampires of the City,” the band’s next full-length effort. Unsurprisingly, this mix of different cultural inspirations and genres coupled with the fact that Vampire Weekend is composed of Ivy League graduates has led to some harsh criticism from critics who suggest that the band is only casually co-oping cultural allusions without understanding its depth. But neither argument was enough to keep the four-piece act from finding success as one of the most unique bands in the industry. The young quartet made an energetic appearance on Letterman following the album’s release, appeared in Vogue and out-sold the bands that seemed to have inspired them. From the air-drum-worthy, nonsensical “California English” to the beautifully disturbing ballad “I Think Ur a Contra” that fades the album to a perfect yet conclusive end, Vampire Weekend makes it clear that they finally found in Contra what they seemed to be looking for in their first album.